A decade ago, there were just 115 western gray whales left in the world, and their feeding grounds near Russia's Sakhalin Island, north of Japan, were being drilled for oil. These massive whales, known as Esrichtiius robustus, faced a host of deadly threats, from underwater noise to collisions with ships and entanglements in fishing gear, and were listed as critically endangered in 2003. Soon after, a deal was struck, whereby loans to Russia's Sakhalin Energy were restricted unless the oil company paid for a panel of marine scientists to advise its offshore operations. The process "began as a 'David versus Goliath' and wound up as a 'David and Goliath story,'" said Azzedine Downes, president and CEO of the International Fund for Animal Welfare (IFAW). This accord has allowed the whales to bounce back, boosting their numbers by about half since 2004, to about 174 today, experts said Saturday at the International Union for Conservation of Nature world meeting in Honolulu. The current deal between scientists and Sakhalin drillers—known as the Western Gray Advisory Panel—will be extended another five years, until 2021. 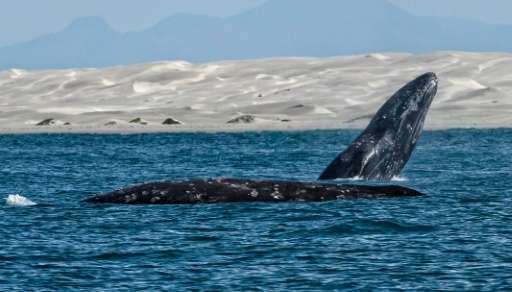 The partnership has helped the western gray whale's numbers rise by three to four percent per year, said a joint report issued at the International Union for Conservation for Nature World Conservation Congress. 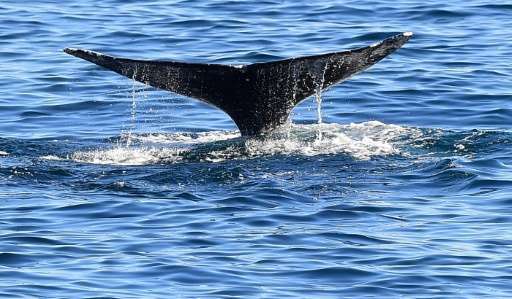 But environmental advocates warn that expanded oil exploration in the area by companies that are not part of the agreement mean that the western gray whale's survival is still tenuous. "Success is also very fragile when you are talking about a population that is this small," the World Wildlife Fund's Wendy Elliott told reporters. Sakhalin Energy—an oil and gas company with Gazprom, Shell, Mitsui and Mitsubishi as shareholders—is currently the only company involved in the agreement. Other companies operating in the region include Exxon Neftegas Limited (ENL), Gazprom, and Rosneft, according to the IUCN. Elliott said Exxon has started building a pier in an important lagoon area. "The panel has expressed extreme concern about this development. That has unfortunately fallen on completely deaf ears," she said. If more oil companies followed suit, protection for key creatures could be vastly expanded, she said, calling on Exxon to join the panel "and make sure this success is not destroyed." Exxon said it did consider NGOs' concerns, and "has co-sponsored a successful western whale monitoring program conducted annually offshore Sakhalin since 1997, and has invested over $40 million in the program to date," according to spokesman Todd Spitler. Experts say Sakhalin Energy has followed 90 percent of the Western Gray Whale Advisory panel's recommendations, and has altered the route of its pipeline to avoid disrupting the whales' feeding grounds. The scientific focus has also yielded new discoveries. 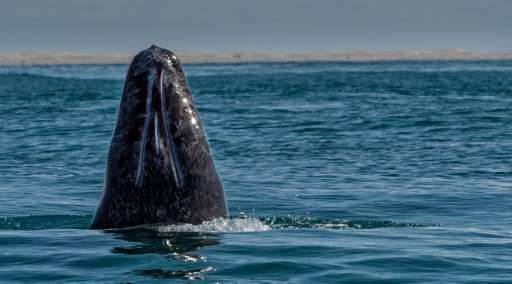 A satellite-tagging program advocated by the panel has led to the discovery that western gray whales are the longest migrating mammal known today, with one whale traveling 6,760 miles (10,880 kilometers) from Sakhalin to its wintering calving grounds in Mexico's Baja California peninsula. And with 43 breeding females in the group in 2015, up from 27 in 2004, the whales have a fighting chance. "The annual increase of Sakhalin whales is encouraging but their recovery in the long-term will depend on more companies in the region joining this effort," said Doug Nowacek, a whale behavior and member of the scientific advisory panel. "Other companies in Sakhalin need to take similar measures to address the problem of cumulative impacts of industry on the marine environment." When first announced, the plans for Sakhalin-2—Russia's first offshore gas project—drew outcry from environmental groups. Non-governmental organizations put pressure on banks not to lend any money to Sakhalin Energy unless certain conditions were met—including a deal that the oil giant would have to finance an independent panel managed by IUCN to offer recommendations on their operations. Shell spokesman Deric Quaile said there was "a lot of mistrust" early on in the partnership. But the process "played an important role in improving environmental performance," he said.